Healthy lifestyle along with proper diet can help in the elimination of kidney stones and kidney diseases. The combination of lemon juice and olive oil is traditionally used as a home remedy to expel gallbladder stones but it can also be used to treat kidney stones. The citric acid present in lemons helps break down calcium-based kidney stones and stops further growth. 1. Take four tablespoons or a quarter cup of fresh lemon juice. 2. Add an equal amount of olive oil. 3. Drink this mixture followed by plenty of water. 4. Do this two to three times a day, up to three days. You need not continue this remedy if you pass the stones in a single dose. 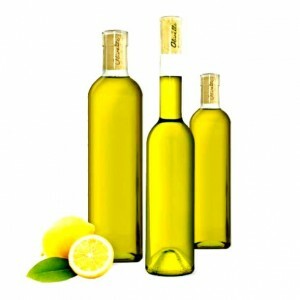 NOTE: Replace olive oil with coconut oil making it more effective and healthier! Apple cider vinegar helps dissolve kidney stones. It also has an alkalinizing effect on blood and urine. Mix two tablespoons of organic apple cider vinegar and one teaspoon of honey in one cup of warm water. Drink this a few times a day. Both the seeds and juice of pomegranates have astringent properties that can help in the treatment of kidney stones. Try to eat one whole pomegranate or drink one glass of freshly squeezed pomegranate juice daily. You can mix pomegranate in a fruit salad also. Warning: This remedy may not be suitable for passing large kidney stones.